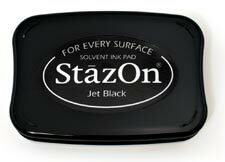 This stamp is a great way to give a postal type cancellation for that new artistamp or it may be used as a separate cachet. Stamp image size: 1 3/8"W x 7/8"H (approx). Pre-inked stamp - approx. 50,000 initial impressions without re-inking. 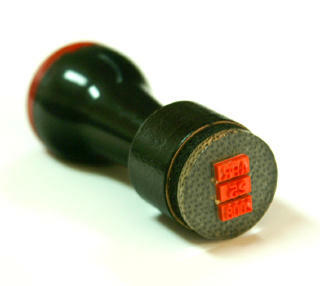 Rubber stamp orders normally ship same day!